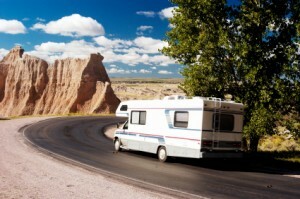 There is no country better suited to motorhome hire holidays than the United States of America. With its incredibly good road networks and long open highways the US motorhome traveller can really make the most of what the countryside has to offer. Brilliant camping sites packed with facilities cover the United States, and there is something for everyone in terms of attractions and natural splendour. Take your campervan, motorhome or RV around the south and drink in the southern charm of Texas, Alabama and Mississippi. Try your hand at pony trekking and feel like an American cowboy for the day, or take a riverboat trip up the famous mud river and party all night. Drive down to the exciting and vibrant coastal city of New Orleans and wonder at the colourful nightlife and festival atmosphere while trying out the local seafood. Or, tour your hired motorhome around the East Coast of the USA and appreciate the delights of Florida and Hollywood from a convenient and cost effective method of transport. See the homes of the stars from the comfort of your own living accommodation then park your motorhome near the beach and challenge the beautiful people to a game of beach volleyball. Visit Mickey Mouse and treat the kids to an American family holiday that no child will forget! If you are searching for nightlife than you cannot do better than to take your hired motorhome on a road trip to Las Vegas and take in the lights and thrills of a city that never sleeps. Casinos and cabaret shows abound, while the bustle of the city streets cannot fail to excite the senses. Nothing could be more exciting than seeing this incredible city rise out of the desert as you drive your motorhome on the long straight roads that lead you there, or seeing it disappear into the distant sunset as you drive on to your next exciting American destination. Drive your motorhome through barren deserts to the Grand Canyon, and wonder at the scale of the sheer sides and impressive rock strewn edges. Or, experience nature at its most impressive with a visit to the US-Canadian border and the churning waters of Niagara Falls where you can mingle with love-struck honeymooners as you gaze into the blue water. If you are seeking historical interest then your hired motorhome allows you to travel to Boston the home of Harvard University and Old North Church. Walk through cobbled streets and see America as it must have seemed at the time of the Boston Tea Party. Then head north into the maple forests of New England and view beautiful foliage before sampling some of the region’s famous maple syrup. If it is the sunshine you are seeking take a surfing holiday in California – with a motorhome, outdoor sport becomes all the more accessible and easy to arrange. Soft, sandy beaches and incredible cuisine await the motorhome traveller who ventures to the fun-filled city of San Francisco, and in a motorhome you will always be keeping costs down and saving your money for those treats that make a holiday more special.